This is a giveaway of an incredible set of mama care products by LuSa Organics: Mama Massage Oil ($8.75), Belly Balm ($9.75), Cranky Pants Essential Oil Blend ($9.10), Lullaby Soap ($5.50), and Herbal Lip Balm ($3.35). One lucky reader will receive all five products, making this giveaway's total value $36.45! Simply put, I am in love with every single product Rachel sent to me for review. And an added bonus? The 49 products available for review at the EWG Skin Deep Cosmetics Database all score in the 0-2 range. That's a good thing. 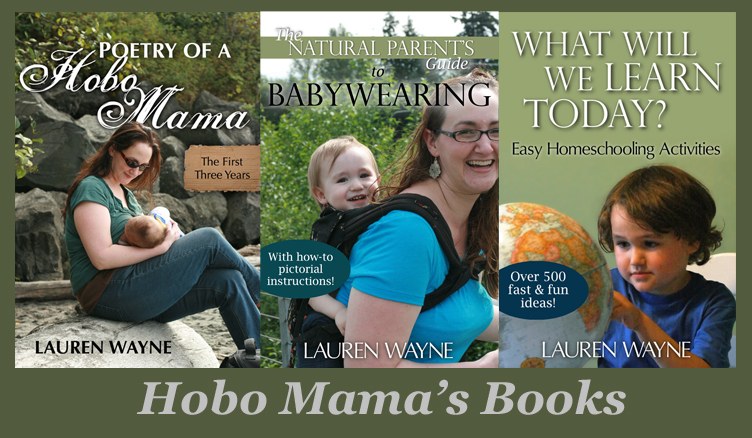 Read more and enter to win at Natural Parents Network! Disclosure: I help coordinate giveaways at NPN. 75% off $75 at BabyLegs! Holiday savings at Robeez baby shoes!